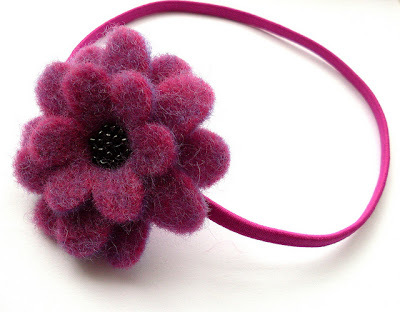 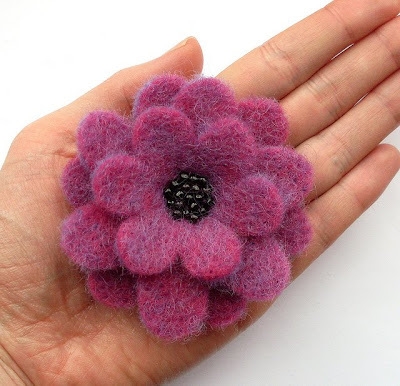 New in my shops this week: lots of pretty felt flowers! 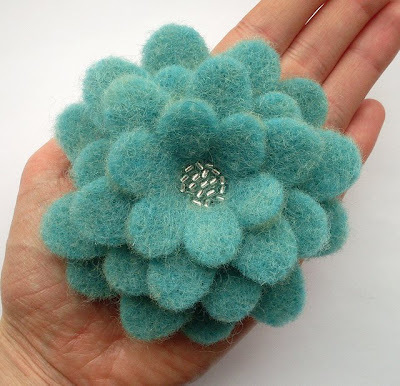 The flowers are made from thick, textured needle felt, and embellished with a cluster of seed beads in the centre. 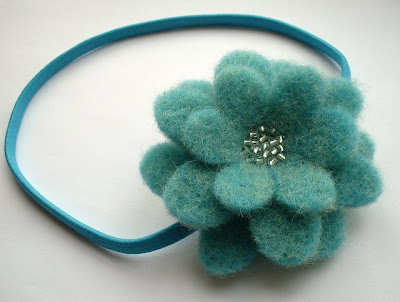 Choose from light turquoise with sparkly silver seed beads or rich plum/magenta with glossy black beads. 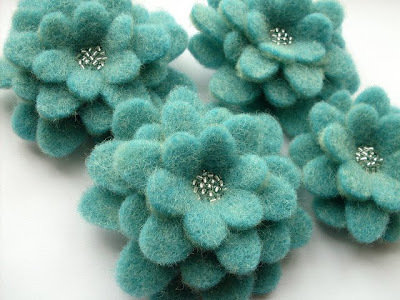 You can find them in my Etsy shop and my Folksy shop. 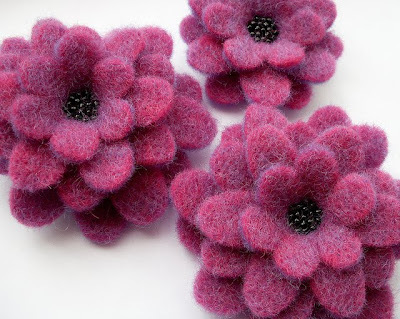 Felt flowers can be so versatile, I really like the 'thickness' of these and the colours are lovely.